David Albert Owens, 79, of Rossville, went home to receive his reward on Thursday December 27, 2018. David was born in Chicago, Illinois to Elmer and Frances Owens. He studied Business Management at the University of Tennessee and Accountancy at Chattanooga State. 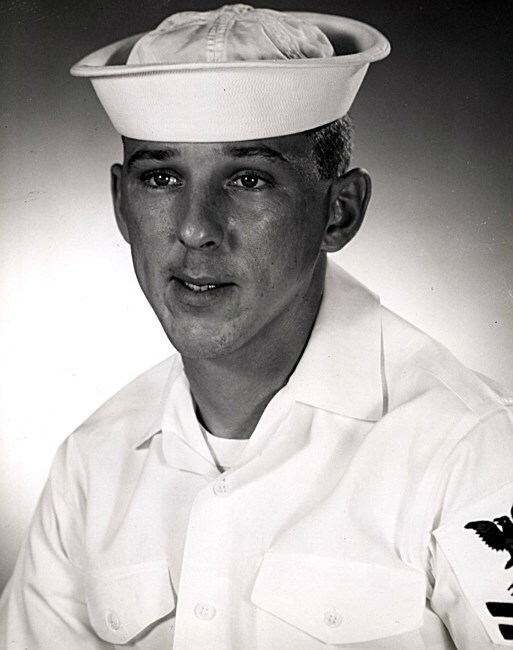 David had a long and distinguished military career in the United States Navy, serving 30 years in various capacities. He was a dedicated member of the Alaska State Naval Militia from which he retired as a Chief Warrant Officer 4. He retired from the Alyeska Pipeline Service Company as a Senior Planning Engineer and held accounting/marketing positions at the Tennessee Valley Authority and the Krystal Corporation. David was an avid speaker and never met a stranger. He was a giver and was always there to help relatives and friends with whatever they needed. He loved to fish in his earlier years and loved to watch football. He was a member of the Ridgeview Baptist Church, where he taught a men’s bible class. David was also a member of Toastmasters Club. He was preceded in death by his wife, Linda Owens, parents, Elmer and Frances Owens, 2 brothers (Daniel and Dennis), and 2 sisters (Bernadine and Laurelei). Left behind to cherish David’s memory are his current wife, Gail Owens, daughters, Lisa (Kirk) Shannon, and Stacy Owens, grandchildren, Connor and Noah Shannon, all of Atlanta, sister, Juanita Rinck, and a sister-in-law, Beverly Hickman and several nieces and nephews. A Celebration of David’s Life will be held graveside in the Chattanooga National Cemetery on Friday January 4, 2019 at 2:00 p.m. The family will receive friends prior to the service starting at 12:30 p.m. at the East Chapel of Chattanooga Funeral Home. He will be laid to rest in the Chattanooga National Cemetery alongside his wife, Linda, with full military honors. In lieu of flowers, memorial donations may be sent to the American Heart Association or the charity of your choosing in the name of David A. Owens. Arrangements are under the care of Chattanooga Funeral Home Crematory and Florist East Chapel, 404 South Moore Rd. East Ridge, TN 37412. Please share your thoughts and memories at www.ChattanoogaEastChapel.com. Dave and I worked closely together while he worked at Alyeska. There weren't many engineering packages (EWRs) in the 1980s through mid-1990s that weren't quality checked by Dave. Dave was an early supporter and enforcer of ensuring that proper engineering reviews and documentation was captured. Many people saw him as overly bureaucratic at the time, but he was just ahead of his time as the company discovered in the 1990s with BLM audit and the subsequent 5,000 audit items. He was thorough and consistent and always has the best interest of the company in mind. Dave worked for me in the early 1990s and I always appreciated the quality of his work and his willingness to support employees from throughout the company in obtaining engineering information and reviews. I learned a lot from Dave and appreciated everything he did for Alyeska. Just last week I was having a discussion with a fellow employee about the old EWR process and Dave specifically. Then I see this notice of his passing. We were in Toastmasters together for years where we shared many stories. We always knew when he was retiring and moving to Tennessee, as he had announced 10 years in advance of his retirement his “10 to Tennessee” retirement plan. He planned everything well…Thanks for everything Dave you were a good man and good friend! As a Planning Engineer, Dave was my mentor. We reported to George Haywood. Dave always had good advice, that was wrapped with humor and wit. I remember he used a off site mainframe computer accessed through a small terminal that connected by placing his phone handset on to it. Once, George tried to solve his son's high school math problem and it ran up lots of calculation costs - it was both shocking and funny. Dave pulled me into Toastmasters. And helped me process EWRs, perform root cause analysis, and advance the use of ADRSII. After my depatrure from Alyeska, Dave and Linda also visited us in Oregon. Dave was a class act all the way. Out of the many times I spoke with him - almost always concerning my Engineering Work Release (EWR) packets - there was one incident that really stood out. I came in to him, nervous about some mistake I discovered on one in progress. "Dave," I said, "do you want me to tell you about how I screwed up on this?" He stopped typing on his PROFS keyboard, looked up at me, and replied: "No, sir. I want to hear about how you have excelled." Yes - A gentle soul, but a force to be reckoned with. The Chief kept us all in line. Fond memories of many interactions. God bless you Dave. Dave was a first class professional, gentleman and committed individual to getting it done right. You alway knew that if Dave was involved you were going to have some fun and that you would enjoy the experience. He loved his family, friends, work and life in general. We need more Daves in our lifes. You will be missed. God bless you Dave and your family! I have just heard about the passing of my old friend and colleague Dave Owens or Chief as he was called. Dave did a great job in a trying time as operations began. A lot of people couldn’t let go of the construction methods and changing over to pure operations. Dave had worked in an operating company in Tennessee and I had done the same for BP Chemicals. We had our ups and downs but always had a $1 bet on Monday night football and five $ on the Super Bowl. I think he won more super bowls with a break even on Monday night. Having both naval backgrounds also added to conversations left for sailors. Dave was a true gentleman and he taught me some things on the cost side of things and we worked many of overtime hours getting things right. Dave was a great guy and always had time to help, train and mentor anyone who asked for his help. He was also a warm and witty indivivdual who was a joy to speak with on a number of topics. He referred to Alyeska as "The Project", an evolving entity not static in time. Dave and his assitant, Kay Gatlin, got me up to speed on the EWR's so that I could get them through quickly on the first pass and issued to the field. Dave also mentored me when I entered the Naval Reserve in Anchorage in 1990. He then guided me to join the Alaska State Naval Militia which provided real bemefits upon retirement 20 years later. Rest in Peace Chief Warrant Officer Owens. Fair winds and following seas. I couldn't agree more with all the comments that have already been posted about Dave Owens. There have not been many people in this world that have had that many positive memories posted about them. My memories are that Dave was rock steady, always helpful, extremely competent, and had a very kind heart. That's pretty special. I can't add much to what you fine gentlemen have already said, except that when you delt with Dave you knew you would be treated fairly and with respect. Go with God, my friend.